With a net worth of around $82 billion, Jeff Bezos sits behind Bill Gates and Spain’s Amancio Ortega at the top of Forbes’ rich list. When it comes to his philanthropic work, the Amazon CEO and founder has often focused on long-term plans. But now he wants to aid those who need help sooner, and has turned to Twitter for donation suggestions. "I want much of my philanthropic activity to be helping people in the here and now - short term - at the intersection of urgent need and lasting impact," Bezos wrote in a Twitter post. "If you have ideas, just reply to this tweet with the idea (and if you think this approach is wrong, would love to hear that too.)" 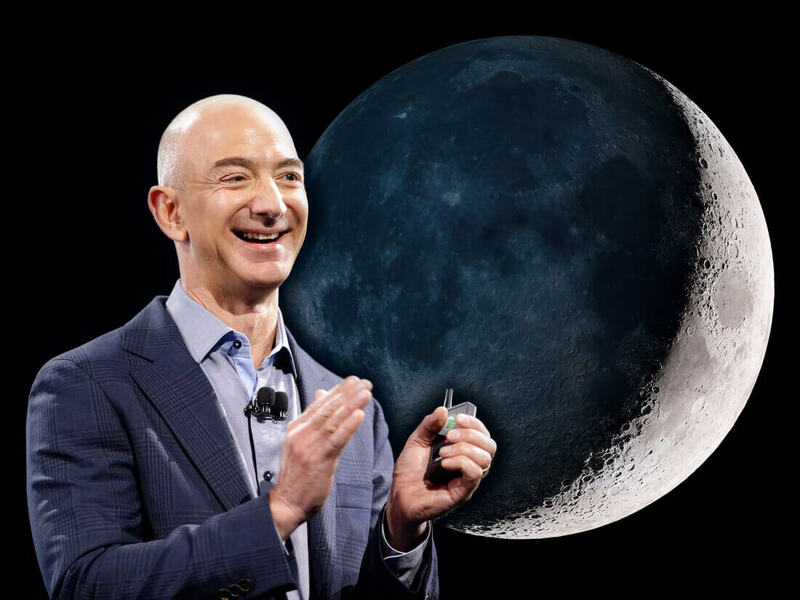 Bezos says his main businesses – Amazon, Blue Origin, and the Washington Post – “contribute to society and civilization in their own ways,” though their goals are more long term. Bezos also supports the Bezos family foundation, which was founded by his parents to support education through investment in research, public awareness, and programs. But unlike Bill Gates and Mark Zuckerberg, the Amazon boss isn’t well-known for his charitable endeavors, and is noticeably absent from the Giving Pledge – a commitment by the world’s wealthiest individuals and families to donate more than half their fortunes to good causes. It’s signed by 169 pledgers, and Bezos is the only one of the top five US billionaires missing from the list. Some of the Twitter suggestions for how Bezos should spend his money include ending homelessness among LGBT youth, starting a basic income experiment, and helping to repurpose the skills of military veterans to become first responders in natural disaster situations. What ever he does I just hope he doesn't feed people in Africa and make them breed even more on food that they them selves can't produce. Maybe trough education it could work. There's no mystery to the question. Spend the money to raise up those that cannot do it themselves. Provide support, education and opportunity. I'm not much of a religious person but the old quote says it best: "teach a man to fish ...... " It's obvious enough that even a billionaire should be able to figure it out .... well, all but that one that is trying to destroy the country ..... ! To do something like this he must be feeling the pressure. For a man whose early role model was probably Scrooge Mc Duck, it must be hard for him to go against his natural instincts. Wtf is this bullsh*t? You don't want people in Africa to breed? Teach a man to fish and he'll have a good excuse to drink upwards of a dozen beers everyday. "I don't want that kind around here." Poverty, suffering, and hardship all trademarks of too much breeding. Simple example: Take an average fenced garden with enough food/water/space for 4 rabbits. Let them breed. See what happens when you have 100 rabbits in there.
" ending homelessness among LGBT youth"
I guess it would be too much to ask you work to end homelessness across youth, period? regardless of sexuality or gender or any of that, which is largely irrelevant such a bad phenomenon? dms96960, Nobina and Raoul Duke like this. Not only do you come across as an extreme racist, your comment borders on 100% hatred towards people of Africa. Another racist you are, and also comparing people to animals. His handle is "Alabama Man"; don't feed the trolls. Serious question.Do you know what a racist is? And yes, humans (you and me) are indeed animals. I think Alabama Man is just ignorant is all (not an insult). I can see why he said what he said. Poor place (that is currently going through an economic boom btw) with too many people to feed that is ravaged by war = not good. But he needs to understand that when you're poor with no options in life, you tend to breed more than a rich country. Looks at population statistics for Japan for example. They're actually losing people last I saw. Some other countries are like this as well. We can sit here and discuss the dynamics of why this is but for now we'll just keep it simple. One thing I WON'T tolerate is saying we shouldn't feed people in Africa. We should feed ANYONE who is in need of nourishment. I don't care where they live. Is that a solution to the problem? NO. Does it need to be done? YES. He is being disrespectful to animals. * Help invent a pain killer that you can't get high on. * Support science that doesn't have a political or commercial agenda. * Buy a news network and replace anyone that has a political agenda with real journalists (and then virtually own cable news overnight). * Stop pandering to the political left in a fruitless effort to steal business from Apple and curry favor with lawmakers who are itching to tax online retailers to death. The taxes are coming and there's no stopping it. * Start a chain of affordable day care centers for the working poor. How about ending homelessness for everyone! Go back several decades and it was thought that devastating famine was going to be inevitable in places like India and Africa where the population was increasing rapidly but technology and education were lacking. However, ways were subsequently discovered by science to greatly increase crop yields, and widespread famine was largely averted. This was a humane move on the part of the developed world, but it's not nearly enough. Along with increase in population you need technology, education and advanced social structure. Economic imperialism made this unthinkable. India and China have nonetheless made great strides, but fragmented and globalization-victimized Africa still has high levels of illiteracy, poverty and brief life expectancy. Those who make grand decisions know what they have to do, but it's up to everyone to make sure they do it. I'm sick and tired of these super wealthy individuals, who got to where they are through hypercompetitiveness, ruthlessness, crime, or just plain luck, being lauded as 'philanthropists'. The only reason they can give away more money is because they have more. They do not love their fellow man more (and in fact many of them are among the most rapacious and misanthropic creatures on the planet.) The sad irony of all this is that even their great 'charity' cannot make even a dent in the great problems. Only governments, funded by taxes that these individuals go to any lengths to avoid paying, have the resources and organization to pull off effective transformational projects. But, again, many of these same individuals act as the biggest roadblocks to having these things happen. Bluntly put -- don't make heroes and saviors out of the super-rich! I'm not sure all your premises have been thought out well. America is a capitalist nation. Being competitive is good for everybody. Monopolies are not good for everybody. Your conflating hypercompetitiveness with the words ruthlessness and crime? And what's wrong with luck? If somebody wins $435 million playing the PowerBall and gives it away to those who need it, its still good. If a corporation avoids paying additional taxes by following the laws are they really criminals, isn't that what we all try to do? You want to trust government to fix the problem? Good luck with that one. ObamaCare was on life support last I heard. So again, good luck with that one. I could rattle off quite a list of highly effective government programs that stepped in and remedied what the 'free market' totally failed at and would dismally fail at again if given the chance. Start with (in the U.S.) Social Security -- a complete success, with only a tiny percentage of overhead. Medicare -- it works, and the main problems you hear about are providers who criminally abuse it. Obamacare's shortcomings relate to how it's been watered down by its opponents. Look what happened when mental hospitals were privatized -- they all failed, leaving their former patients on the streets or in jail. Private prisons are a nightmare, as are charter schools. Don't be confused, competition in a capitalistic economy is enforced by government. Left to its own unregulated devices, the economy would collapse. Anti-trust is actually a form of socialism. There are a number of ways that a person can be manipulated into rationalizing a situation like what we have now, where a few rich are getting richer and everyone else is struggling, but really, such a situation is good for no one, even the rich. Social Security a complete success, are you being serious? The government is in debt to the tune of about 18 trillion dollars, there's talk of raising the retirement age, or cutting benefits for those who don't need them. The government is so corrupt now it's a joke. I think your living in fantasy land. You might want to read this article on social security. "That is why the government’s social security scheme was mathematically and necessarily bankrupt from its inception; it was (and is) merely a political mechanism designed for persons who can be lulled into believing that the police power of government is the proper moral and financial base on which to build a sound retirement program." "The greatest security a person can have comes from within himself, not from the outside. Nothing anyone can do for you can begin to match what you can do for yourself.